Samsung has been off the pace when it comes to budget phones for a few years now and the company's new Galaxy M Series is a serious push towards setting things right in 2019. As with the Galaxy M10 and M20 launched earlier this year, the Galaxy M30 aims to offer good value at a price of Rs 14,990. Something that the Korean giant hasn't really tried over the past few years. The Samsung Galaxy M30 features thin bezels around the sides but has a sizable chin. The competition when it comes to the Rs 15,000 budget range does heat up quite a bit. 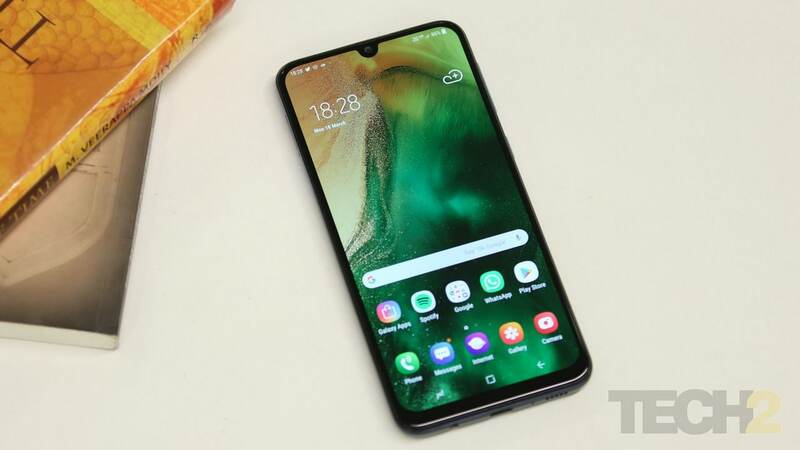 We have smartphones from the likes of Xiaomi, Realme, Asus and even Honor competing to grab eyeballs, and Samsung's Galaxy M30 gets right into the mix with what it packs. Coming from the Galaxy M10 and M20, the Galaxy M30 slots right above the Galaxy M20 and packs in a gorgeous Super AMOLED display instead of LCD, a mammoth 5,000 mAh battery and triple rear cameras that certainly pack a punch. It's certainly a great phone, but does it do enough to topple the mighty Redmi Note 7 Pro? I can comfortably state, and with conviction, that the Galaxy M30 has the best display (by some margin) on a phone that is priced under Rs 15,000. Samsung does make the best OLED panels for smartphones and it doesn't surprise me that the display on the Galaxy M30 is an absolute joy to look at. The colours are punchy, the saturation levels are remarkable and the display gets bright enough to blind you for a few seconds if you suddenly flick the phone out of your pocket in the dark. Like the Galaxy M10 and M20, Samsung's packed in a 6.4-inch Infinity-U display here with slim bezels. The 6.4-inch Super AMOLED display on the Galaxy M30 is certainly the best we've seen on a budget device. If you're coming from an LCD panel and you love watching videos, the Galaxy M30 is an absolute treat. If you don't like the way the colours turn out on the display by default, Samsung also throws in a bunch of display profiles to choose from in the display settings. I personally prefer the 'AMOLED photo' display profile but I did come across a couple of people at least who would rather leave the display at 'Adaptive', so that does boil down to preference. Samsung also throws in a couple of handy options like a blue-light filter toggle and the option of changing font style and size if you want to. 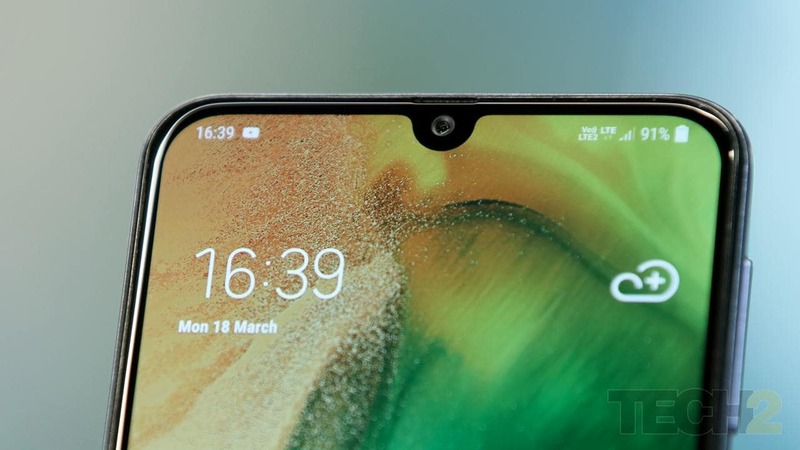 The notch houses the 16 MP front camera above which we find the earpiece. The only niggle I had is with the auto-brightness feature which failed on me so often that I found myself turning the feature off within a day's use. The Galaxy M30 packs a 5,000 mAh battery unit and while that sounds like a lot, we have seen phones like the Asus Zenfone Max Pro M2 pack similar units in the past. But the AMOLED display on the Galaxy M30 and the Exynos 7904 SoC make miracles happen, as far as battery life is concerned anyway. 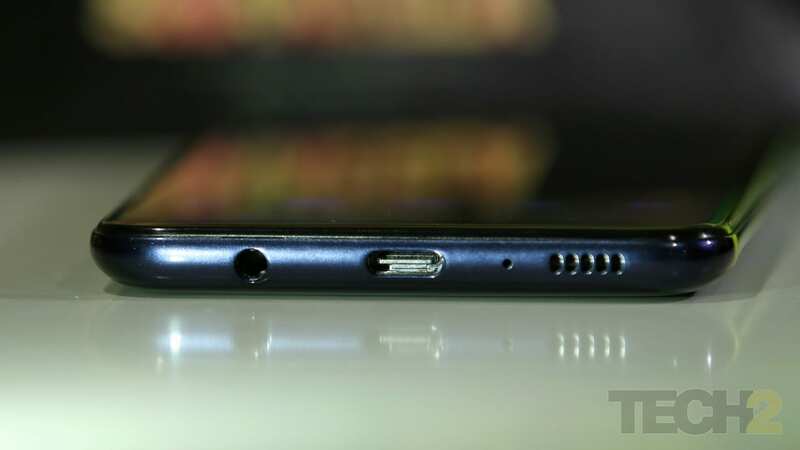 Just like the Galaxy M10, M20, Samsung's added a USB-C port on the Galaxy M30 along with an 18 W charger in the box. Even with hours of video watching on mobile data, I was able to drain only a meagre amount of the battery. Add to that an hour of music streaming on Spotify, a couple of hundred WhatsApp messages, Slack, two mail accounts running in the background, selfies and photos every now and then and about half an hour worth of voice calls, I still managed two full days before I reached for the charger (the M30 still had 6 percent juice). Samsung's bundled a type-C fast charger (about 18 W) in the box but since this is a big battery to fill, it did take me two hours and 25 minutes on average to charge the phone completely. But then again, I wouldn't complain with such a stellar battery life. A triple-camera setup on a budget phone is unheard of but Samsung's done that with the Galaxy M30. It was definitely something I was eager to put to the test since the last triple-camera Samsung smartphone I'd tried out was the Galaxy A7. 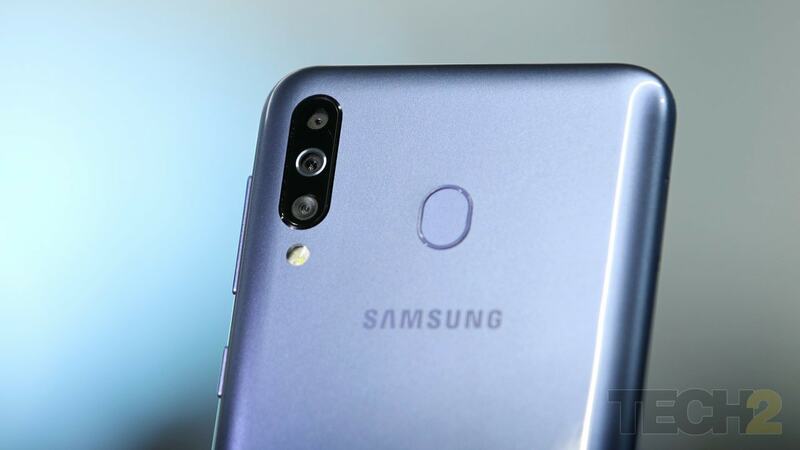 The Galaxy M30 is one of the first budget phones to feature a triple rear camera setup. Well, I was a tad disappointed with what Samsung could have done with such impressive hardware but the cameras on the Galaxy M30 definitely do a decent job overall. However, pitted against the Redmi Note 7 Pro (review), the performance does fall short. The phone packs a 13 MP f/1.9 primary camera supported by a 5 MP f/2.2 depth sensor and a 5 MP f/2.2 ultrawide-angle lens. Now, images shot in daylight turn out well with great contrast levels and natural-looking shades. Samsung does give you an easier way to turn on HDR but you can head to settings and turn that to 'Auto' if you like. Focusing is fast and the wide-angle lens is a nice option to have if you're trying to squeeze in more into the shot. Images shot using the wide-angle lens do turn out horribly distorted at times though and Samsung does have a 'shape corrector' to let you fix the distortion. However, there were occasions when the images were just too distorted to fix. The portrait mode (live-focus as Samsung calls it) works well with great edge detection and a very natural-looking separation of the background from the subject. The background blur looks quite natural and I love the fact that you can alter the level of background blur even after taking the picture. Here's a portrait mode comparison against the Redmi Note 7 Pro and the Samsung's Galaxy A30. In low light, the camera does well when you have a light source illuminating the subject but once you move to darker situations, you will notice a lot of noise which is aggressively dealt with, as it is on most smartphones. The resulting image is therefore washed out with little to no detail. Adding a night mode here would be really helpful though. As for the 16 MP f/2.0 front camera, I was really pleased with the selfies, both in daylight as well as in tricky lighting conditions. Definitely, a thumbs up here if you click a lot of selfies. The 'live focus' mode also works well here and a dedicated sticker mode was also worth a try. 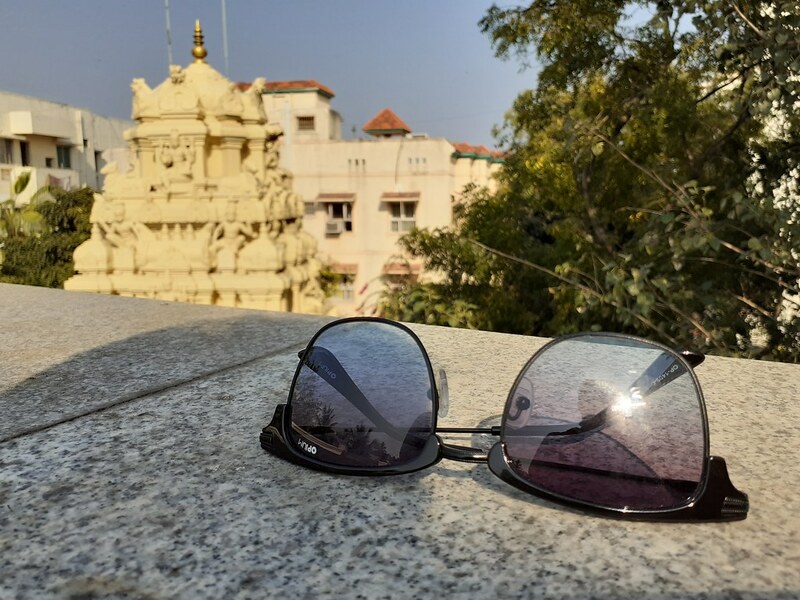 You can check out high-res images clicked by the Galaxy M30 here. As for video, the resolution is capped at 1080p 60fps but EIS (electronic image stabilisation) works well here and you'll enjoy shooting some steady clips using the Galaxy M30. 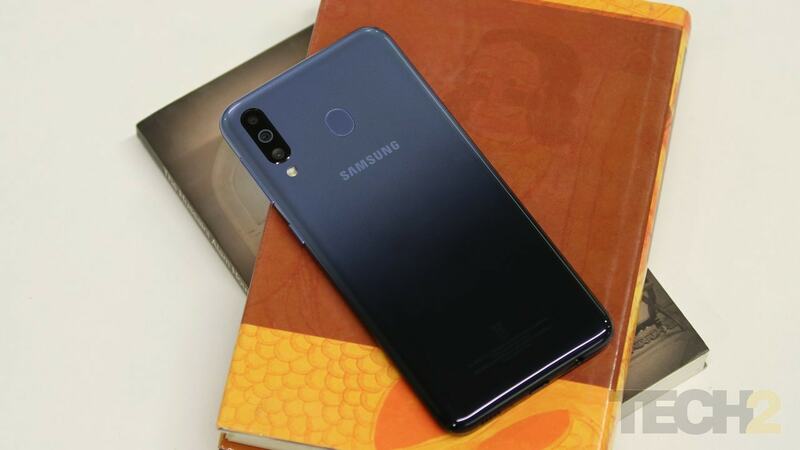 The Galaxy M30 may not be a smartphone that will wow you with its looks but Samsung has tried to make it look appealing in its unique way. What would otherwise look like a very dull phone, has an odd, dual-tone gradient finish which might not be breathtaking to look at but does make the phone stick out in a crowd. The back of the phone features a gradient two-tone finish which sets the M30 apart from the Galaxy M10 and M20. The frame and back of the phone have been moulded completely out of plastic and though we understand Samsung wanted to cut costs on materials, the Galaxy M30 could have been designed better. The phone does feel rigid otherwise though. The rounded back also helps a great deal in gripping the phone, something which is a worry with glass on phones these days. The back does have a glossy finish, which means that you will have to throw a case on if you don't want scratches to show within a day or two. Talking about scratches, there no camera bump on the Galaxy M30, which means that you won't have to worry too much about scratching the camera lenses. Now, the Galaxy M30 is not a small phone. It features a large 6.4-inch display and a mammoth 5,000 mAh battery but Samsung's been able to keep the weight fairly low. This has definitely been aided by the use of plastic but is still remarkable nonetheless. Something that distinguishes Samsung's new Galaxy A series from the M Series is the inclusion of OneUI. With the Galaxy M30, you're still stuck on Android Oreo 8.1 with the company's old Experience UI. I did receive a software update while reviewing the phone which updated the Android Security patch to February 2019 but apart from that, there nothing that we haven't seen before on Samsung phones. 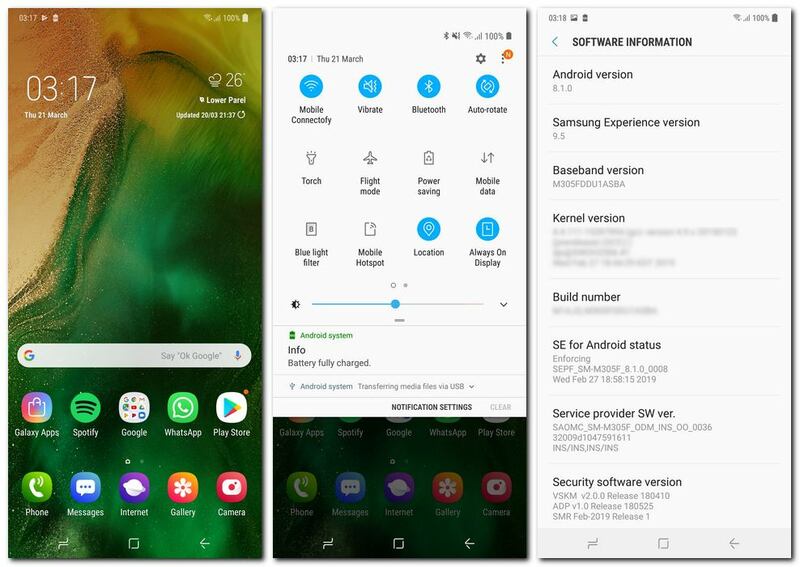 The Galaxy M30 runs Samsung's Experience UI v9.5 built on top of Android Oreo 8.1 with the February 2019 Android security patch. That said, the software does feel fairly well-optimised and I did not come across any major stuttering with normal usage. You do see some stutter when using multi-window mode and when playing games. Having used the Galaxy A30 for a while, OneUI does feel far snappier to use, so this certainly isn't a performance issue. Switching to a third-party launcher could help your cause but I really hope Samsung plans on bring OneUI to the M Series phones. As for additions like face unlock, the feature does work fairly well with a decent amount of accuracy for an unsecure, 2D-based system. Samsung's stuck with the same 14nm Exynos 7904 we saw on the Galaxy M20 and while it handles daily messaging apps and web browsing just fine, it's certainly doesn't handle heavy games like PUBG Mobile and Asphalt very well. The phone also begins to stutter every now and then while trying to use the multi-window feature, which was a mild disappointment. RAM management on the 4 GB / 64 GB unit we have for review was good and I could toggle between multiple apps with relative ease. 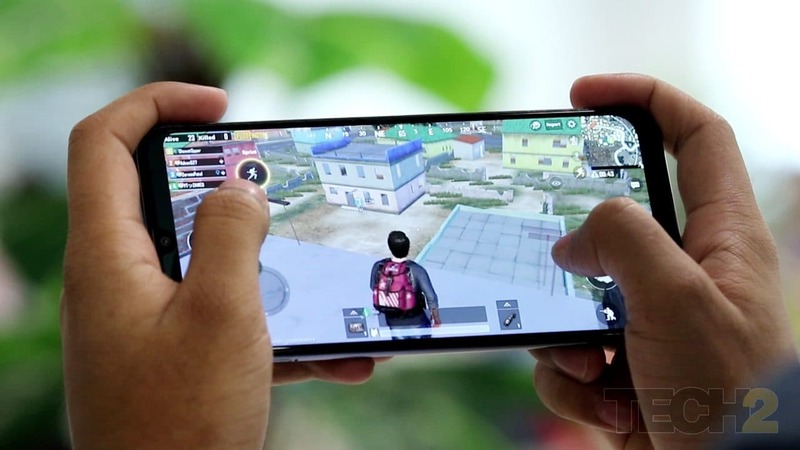 PUBG Mobile is playable on the Galaxy M30 on medium settings but you will notice a considerable amount of frame drops while playing. The single, bottom-firing speaker gets fairly loud and the output off the 3.5 mm jack was also quite pleasing. The fingerprint scanner on the back is also fairly fast but we have seen faster scanners on phones in the same budget. The earpiece on the front may be small, but I didn't have any issues worth noting while taking phone calls. The bright and punchy display coupled with the brilliant battery life certainly makes the Galaxy M30 a great pick for those who love watching a lot of videos on their phone. With Widevine L1 certification — essential for HD streaming on apps like Netflix, and a rarity among budget phones — this phone certainly has you covered for HD streaming on all the popular streaming platforms out there. If you are picking the Galaxy M30 for its cameras, you won't be disappointed. The M30 does a great job with selfies and portrait shots and the wide-angle lens here is a definite bonus. It's only in low-light that you see the phone choke a bit. But again, this is a Rs 14,990 phone, and at this price, the M30 certainly packs a punch. 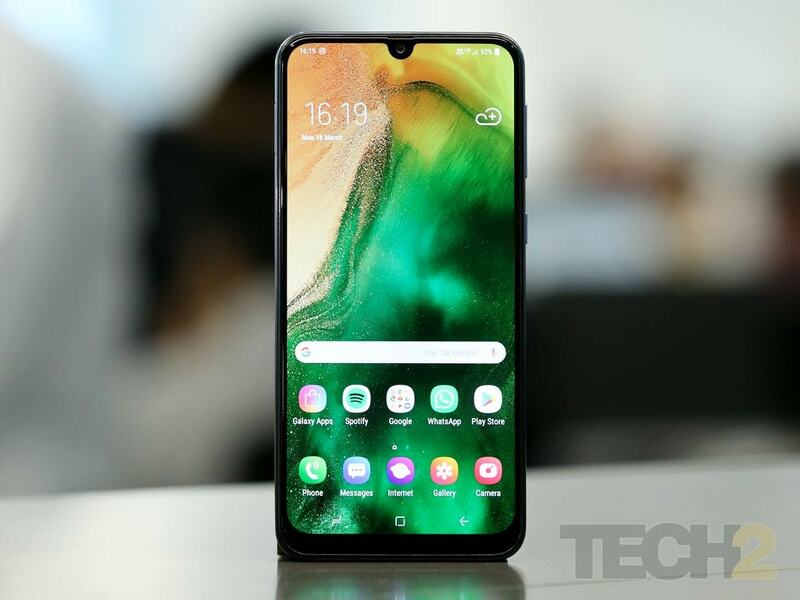 Overall, the Galaxy M30 does come across as a good device for the price. Its only major drawback is performance, which will be a factor if you are a gamer or a heavy multi-tasker. 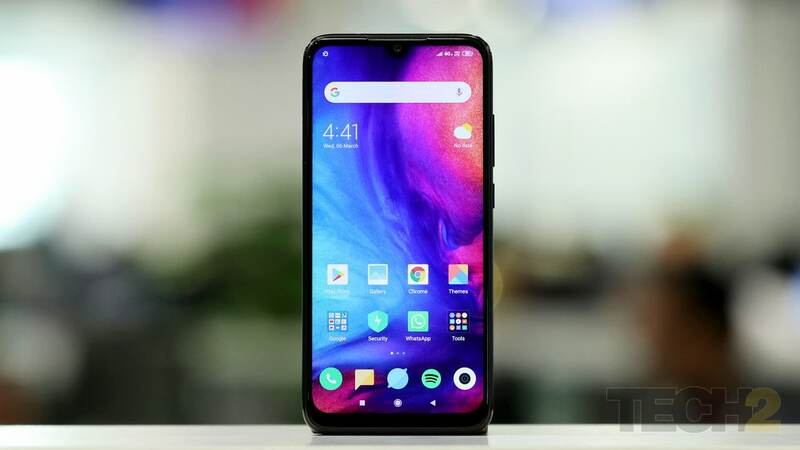 However, you do have a number of other options to choose from including the Honor 10 Lite, the Oppo K1 (review) and also the Realme 2 Pro (review). 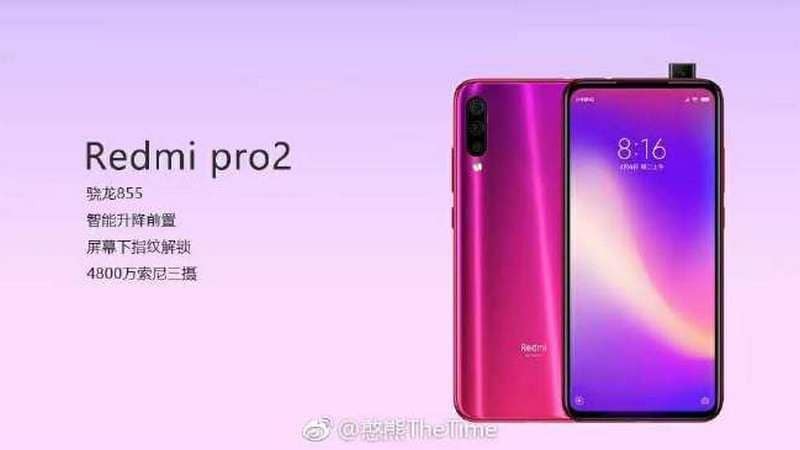 The Redmi Note 7 Pro, though, for the time being, still keeps its crown.